Mac support the way it's supposed to be! ￼Got a few gift cards burning a hole in your pocket after Christmas? Want to get some new tech after the holidays? 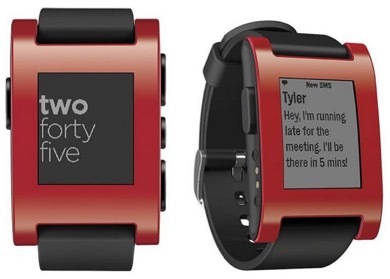 Why not try the Pebble Smart Watch as something fun to pair with your iPhone. With the Apple Watch (“ Watch”) coming early 2015, some people don’t want to be early adopters and would prefer to wait for a product to be established. The idea of smart watches giving us info at a glance like new text messages, emails and controlling our music is a cool concept. Pebble is a great stepping stone for those interested in smart watches but not ready to pay the premium price tag. Pebble comes in two styles Pebble ($99) and Pebble Steel ($199) with various colors and watch bands (alternate watch bands included with Pebble Steel). Pebble is colorful and attention grabbing while Pebble Steel has a refined professional look. Pebble uses an e-ink display (such as the one found on Kindle) to be readable in direct sunlight and uses minimal power. Pebble’s battery life is around five to seven days on a charge but actively using it will decrease it faster. Your iPhone communicates with Pebble using Bluetooth LE (Low Energy) to push notifications and allow Pebble to control your music player and display text messages. Pebble is limited on what it can do with your phone in terms of information and control. For example, you can accept or decline calls with Pebble but still have to pull your phone out when accepting a call as the Pebble has no built-in speaker or microphone. You can also read and clear notifications from the lock screen and Notification Center but cannot respond to messages. Pebble only has four buttons: back, up, select, and down. The back button is similar to the Home Button on the iPhone and helps navigate out of submenus to the watch face. 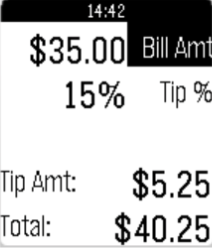 Up and down can be programmed to quick start an app if pressed for a few seconds and select chooses an item. Responding to a text or other notifications would be tedious so Pebble is great for giving you a glance to give you a choice on whether to pull your phone out or not. Out of the box, Pebble doesn't do much but tell time, set alarms, and control your music. To get started with Pebble, you download the “Pebble” app from the App Store on the iPhone. 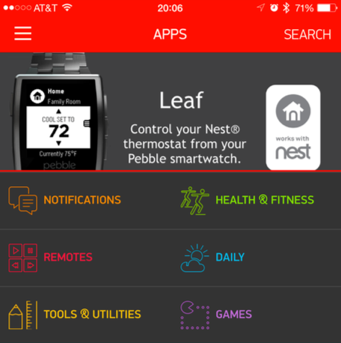 The app contains its own app store for additional apps and watch faces to add to the Pebble. Pebble only has space for eight additional apps and watch faces but removing and installing them is simple and fast through the Pebble app. The other apps you've downloaded reside in the “App Locker” where you can add and remove them with a few taps. There are a plethora of apps for Pebble to download and use ranging from step counters, weather apps, animated watch faces, Black Jack, and a BBC news feed. Some of the apps for Pebble require “companion apps” or apps downloaded on the iPhone’s App Store to give Pebble more functionality. The apps can gain access to calendar information, RSS ￼Pebble App Store feeds, and even control the camera. However, a majority of these apps on the iPhone App Store cost money and not all the reviews are that great. Pebble works great as an every day watch with the long battery life and up to 5 atmospheres (50 meters or 164 feet) of water resistance. Overall, the watch is very durable – I’ve bumped into walls or desks with the watch and barely scratched the face. I’ve owned it for a little under a year and have enjoyed it since the day I bought it. The “newness” and novelty have worn off but the functionality still remains. The apps I use the most are Tip Calculator and Black Jack and the watch face I prefer displays multiple timezones. Some of the other watch faces and games are fun for Pebble but I use it on a very basic level – reading notifications and controlling music. Some of the apps on Pebble’s App Store are Android-only and other apps require more time and computer knowledge than I wish to spend. For a tech hobbyists, this is the watch to get for experimenting with watch apps and doing more with your phone. For everyone else, the watch becomes more of a novelty item and a fun conversation piece. I bought it when it was $129 on Kickstarter and don’t regret my purchase. 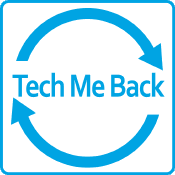 I would gladly recommend this to someone who likes to be tech savvy or being on the cutting edge of technology while not being stuck to a brand specific device. Pebble is a great product to get me excited for  Watch and what new potential smart watches bring to our day to day lives. The  Watch is expected to have tighter integration with iPhone and  Pay support – things the Pebble is likely not to ever have. I’ll be retiring the Pebble when the  Watch is released, but Pebble has been a fun watch to own and a great to wear.